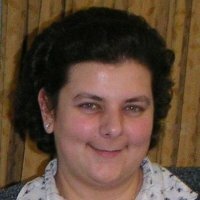 Dr Vertzoni received her Bachelor in Chemistry from UoA in 1994, her Master of Science in Analytical Chemistry in 1999, her PhD in Pharmaceutical Sciences in 2004 from the same University and her Master of Science in Medical and Pharmaceutical Statistics from Athens University of Economics and Business in 2016. Dr Vertzoni’s interests focus on the physicochemical characterization of intraluminal environment, oral absorption characteristics of highly lipophilic compounds and analysis of drugs in biorelevant media and in biological fluids. She is coauthor of two book chapters and more than 60 peer reviewed papers. Vertzoni M., Markopoulos C, Symillides M., Goumas C., Imanidis G., Reppas C. Luminal lipid phases after administration of a triglyceride solution of danazol in the fed state and their contribution to the flux of danazol across caco-2 cell monolayers. Mol. Pharm. 9:1189-1198 (2012). Kostewicz E.S., Abrahamsson B., Brewster M., Brouwers J., Butler J., Carlert S., Dickinson P.A., Dressman J., Holm R., Klein S., Mann J., McAllister M., Minekus M., Muenster U., Müllertz A., Verwei M., Vertzoni M., Weitschies W., Augustijns P. In vitro models for the prediction of in vivo performance of oral dosage forms. Eur. J. Pharm. Sci., 57:342-366 (2014). Reppas C., Karatza E., Goumas C., Markopoulos C., Vertzoni M. Characterization of contents of distal ileum and cecum to which drugs/drug products are exposed during bioavailability/bioequivalence studies in healthy adults. Pharm. Res. 32:3338-3349 (2015). Petrakis O., Vertzoni M., Angelou A., Kesisoglou F., Bentz K., Goumas K., Reppas C. Identification of key factors affecting the oral absorption of salts of lipophilic weak acids: a case example. J Pharm Pharmacol. 67:56-67 (2015). Litou C., Vertzoni M., Goumas C., Vasdekis V., Xu W., Kesisoglou F., Reppas C. Characteristics of the human upper gastrointestinal contents in the fasted state under hypo- and a-chlorhydric gastric conditions under conditions of typical drug - drug interaction studies. Pharm. Res. 33:1399-1412 (2016). Kourentas A., Vertzoni M., Symillides M., Goumas K., Gibbon R., Butler J., Reppas C. Effectiveness of supersaturation promoting excipients on albendazole concentrations in upper gastrointestinal lumen of fasted healthy adults. Eur. J. Pharm. Sci. 91:11-19 (2016).